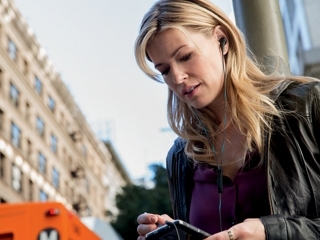 QC20 headphones let you experience music on the go as never before. 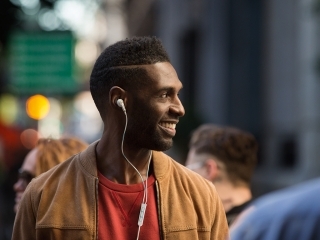 You’ll enjoy lifelike, digital sound quality that stands out from the noise around you—plus the freedom of an in-ear headphone. 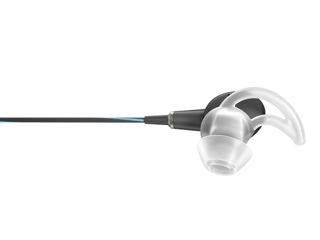 StayHear+ tips physically block some noise while our Acoustic Noise Cancelling technology electronically reduces most of what’s left. It’s just you and your music, even in noisy environments. 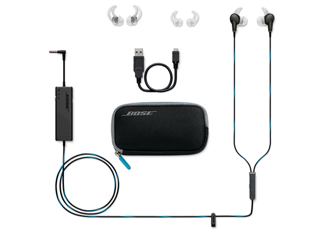 All this, plus Bose lifelike sound. 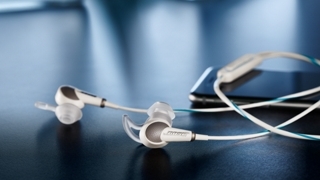 Sound you wouldn’t expect from in-ear headphones. Our TriPort® technology and Active EQ combine to give your music a depth and balance that keep your daily soundtrack fresh and alive. The subtle details shine through, too. So wherever you are, your music’s front and center. And your music’s even easier to enjoy when you’re not fussing with your headphones. 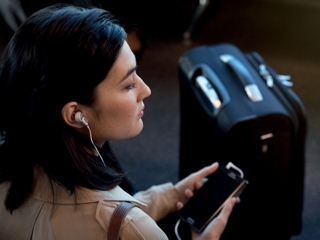 Proprietary StayHear+ tips create a soft, secure fit with no need to force them into your ears. The cone shape spreads contact evenly across the ear for maximum comfort, and forms a gentle seal that contributes to the headphones’ full-spectrum noise reduction. Controls are all at your fingertips. 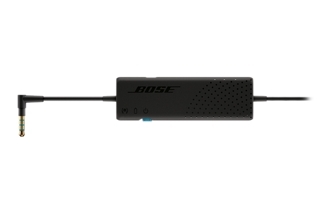 Use the slider switch on the control module to turn noise cancelling on and off. The inline microphone/remote houses Aware mode and call answer/end buttons. The provides volume and music control plus access to voice-recognition apps, like Siri or Google search.